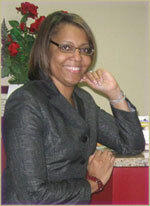 Robyn is the CEO and Managing Member of RC Tax & Accounting, LLC which she founded in April 2000. She completed her undergraduate studies at Talladega College in Alabama where she received a Bachelor of Arts degree in Accounting with a minor in Vocal Performance. She has fifteen years of tax, accounting and business management experience. Robyn is enthusiastically finishing her graduate studies at Strayer University, pursuing a Master's of Science in Management (Leadership Concentration) and is on track to graduate December 2012. In addition to completing her graduate studies, Robyn is studying to sit for the EA exam to become an Enrolled Agent. Robyn is a member of the Cobb Chamber of Commerce, National Association of Tax Professionals (NATP) and an active member of Delta Sigma Theta Sorority, Inc. Robyn serves as Worship Director for her church and enjoys spending time with her two children. Brandi joined RC Tax & Accounting, LLC in 2011 and has added a new level of professionalism to the team. She works closely with the managing member and provides administrative support for the entire firm. She is also responsible for scheduling, document compilation and input, and assists with day-to-day operations. 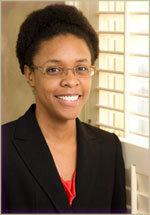 Brandi studied at Mercer University and is the mother of one son. Mishael is the business accounting consultant for RC Tax and Accounting. She completed her undergraduate studies at Shorter College where she received a Bachelor of Business degree in Accounting. She has more than seven years of tax and accounting experience. Mishael is a Certified Public Accountant, registered in the state of Georgia. Mishael is a member of the American Institute of Certified Public Accountants and the Georgia Society of Certified Public Accountants. Mishael serves as Sunday School Secretary and Financial Office Administrator for her church and enjoys spending time with her family and close friends.